Basic, simple opener. Most young lion singles matches end in draws, but Tsuji got the submission win here with the boston crab, marking the first singles win of his career. Another pretty basic match, the kind of formulaic bout you’d see between a young lion and someone further up the card. Narita made a hot comeback, but Henare cut him off with a headbutt and won with the uranage. A good match. Match started with the usual Suzuki-gun brawling. Kanemaru gave Umino a guillotine leg drop across the barricade. Suzuki-gun made sure to work over him a lot. He got some close near falls on Suzuki, but quickly fell to a Gotch piledriver once Suzuki connected. Bullet Club basically did what Suzuki-gun did and brawled with their opponents throughout the crowd. It's okay if one stable does it, but two is kind of overkill. Another okay match. Honma survived a Jado kendo stick shot, but was no match for Tanga Loa’s sitout piledriver, which ended the match. Yano once again took possession of the IWGP tag belts after the match, which led Tama Tonga to chase after him into the back. Juice has very...loud new ring gear. Another formulaic tag match, but people did get into Juice. Hikuleo seems more confident in the ring even though he’s still pretty green. Juice cut him off and hit the pulp friction for the win. Fale stared him down after the match, as that is the next US title program. Naturally, the highlight was the faceoff between Sacre and Ibushi, who go at it at the end of this month. Taichi set hits sights on Liger, who he threw into a bunch of empty chairs outside the ring. This ended up being another solid match that the crowd got into. Ibushi took out Sabre with a dive to the floor as YOSHI-HASHI hit a lariat on Michinoku. He followed up with karma and scored the pinfall for his team. SANADA and Okada, the two that will face off next month for the IWGP title, squared off first. EVIL and Ishii had a huge striking battle, while the two junior tag teams went after each other as well. 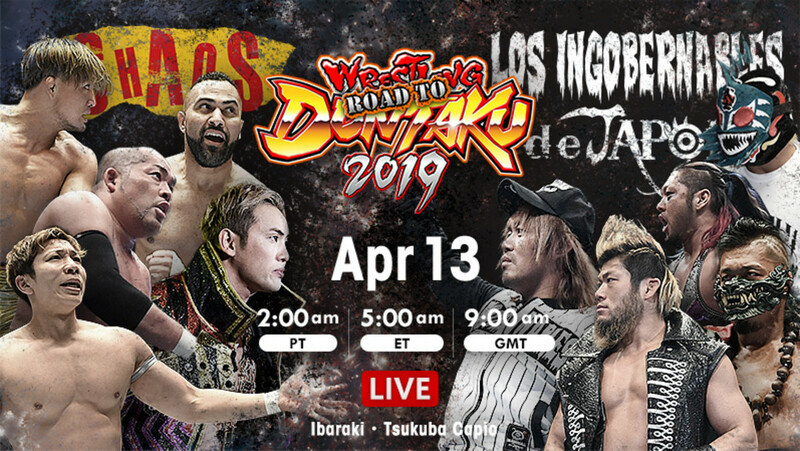 Naito, whose storyline on this tour seems to be that he has nothing to do, paired off with Rocky Romero. SANADA tried to put Okada in a paradise lock at one point, but failed to do so. That may play into their future match. EVIL put Ishii in the sharpshooter, then Naito scored the win over Romero with the Destino. A fine house show main event, but nothing special in the larger scope of things. Naito closed off the show with a promo and the LIJ roll call.